Rocky Fork Outfitters and Guide Service LLC, is owned and operated by myself (Pat Pierson) with the able bodied assistance of my loving family. I have lived and fished the Beartooth country since 1979 and first began guiding on the Madison out of Ennis Montana in the early 1980’s. My Outfitters License (#936) is one of the earliest issued in Montana. 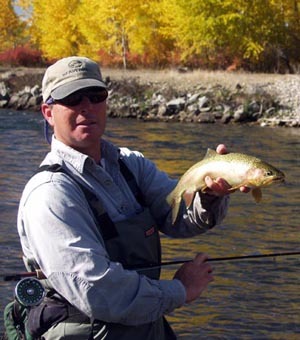 Although there are other fly-fishing outfitters, who have recently started operations in the Red Lodge area, we believe you’ll find that expertise, longevity, and an intimate knowledge of the Beartooth ecosystem makes a siginificant difference in the fly-fishing experience. Once you fish with Rocky Fork, we are sure you will want to come back, and we would be happy to provide client references if you are interested. Copyright © Rocky Fork Outfitters and Guide Service LLC, 2019, All Rights Reserved.